The panels obtained can be used both in consumer and commercial markets. They are resistant to heat and cold and can therefore be used for both exterior and interior applications. These panels can be safely used in the agri-food sector. Depending on the raw materials used, and many designs can be integrated into the panels. The result is modular panels that can be shaped based on needs to meet every taste. 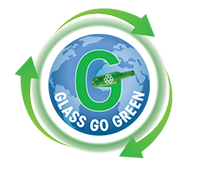 Our technology is available for starting a business wanting to work in the recycled glass sector or for an existing company wanting to add a component to its services. The biggest advantage of these panels is their great adaptability. They can be used in many other contexts (property of Eco-Surfaces). The manufacturing process is patent-pending.